Esteban Chaves has committed himself to a further three-years with Orica-GreenEdge, with the Australian team announcing a new contract with the Colombian to 2018 on the second Vuelta a España rest day on Monday. The 25-year-old turned pro in 2014, joining Orica at the start of that season. In his first year he took victories on stages in the Tour of California and the Tour de Suisse, but Chaves made his real breakthrough in the latter part of this season with two stage wins and six days in the overall lead at the Vuelta before the third week of racing. Chaves suffered severe injuries at the Trofeo Laigueglia race in 2013 which could have ended his career, but recovered and has developed into a potential Grand Tour contender alongside Orica’s other young climbing specialists in Adam and Simon Yates. Watch: How much do the Yates brothers really know about each other? While the team had been pleased with Chaves’s development before his storming Vuelta performance, sport director Neil Stephens said his ride in the Spanish tour is really just ‘confirmation’ of the his climbing talent. “We gave him confidence after his injury and worked with him with patience and he has responded to that and transformed into a fantastic bike rider. Chaves sits in sixth place, 2-38 behind current Vuelta leader Joaquim Rodriguez (Katusha) as the race hits its second rest day. With a long time trial on Wednesday’s stage 17, not a discipline Chaves specialises in, there’s likely to be another shake-up in GC with more difficult mountain stages to come before the race concludes in Madrid on Sunday. 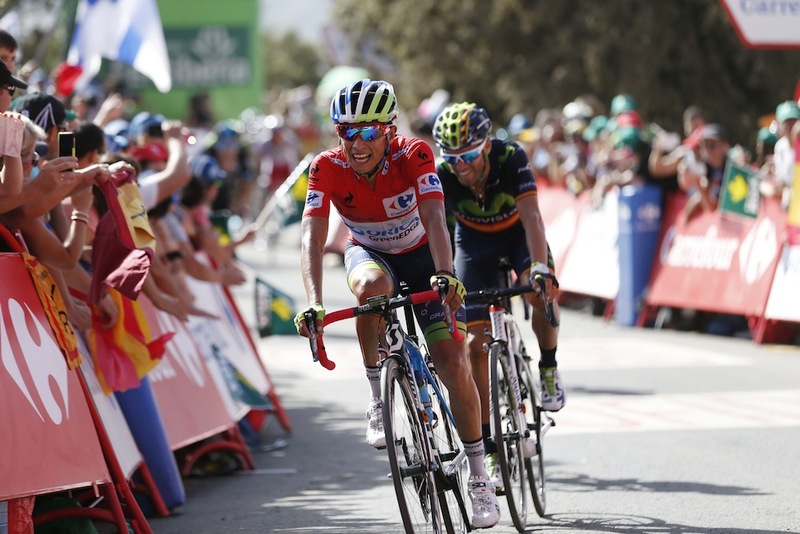 But despite his impressive ride at the Vuelta, it’s another race that Chaves has his eye on in the long-term. “I’ll stay for three more years with ORICA-GreenEdge and actually I am really happy for that,” Chaves said. “I feel really good in this team. Like I’ve said before, it’s like one big family.